Pediatric Nasal Cannula Oxygen are medical devices used to deliver supplemental oxygen to a person that needs oxygen therapy. Being made of a lightweight tube, oxygen cannulas easily hook around an individual's ears and gently rest inside of the nostrils; the opposite end of an oxygen cannula connects directly to an oxygen concentrator or flowmeter. Made from soft, non-toxic green PVC thus non irritating even in long term use. Star Lumen tube ensures the supply of oxygen even if tube is accidentally kinked. Available in different size including Adult & Paediatric. 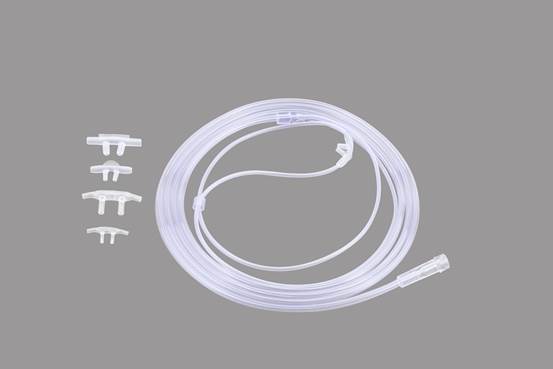 Enriched by our vast industrial experience in this business, we are involved in offering an enormous quality range of Pediatric nasal cannula oxygen. If you have any questions about our products, please feel free to contact us, we will be the first time to reply.